Body contouring has become one of the most sought-after cosmetic procedures of today. 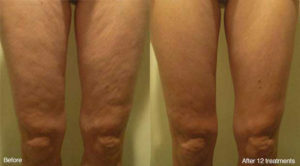 As technology advances, newer and better ways to slim, sculpt, and trim the body and remove fatty deposits are developed. Vie Harmony Light is one of the latest generation of advanced, non-invasive body contouring treatment systems. Light therapy has been the focus of research for decades, but a recent discovery brings new hope for people with unsightly fat deposits on the arms, legs, buttocks, abdomen, or other body area – one that does not involve invasive surgery or liposuction. A specific light wavelength, called 635nm, has been proven to be one of the most effective, least-invasive ways to reduce targeted areas of fatty deposits on the body. Vie Harmony Light is a leading-edge technology, with results that outshine earlier generations of laser treatments. The system has some impressive advantages: the treatment is pain-free, does not involve heat or discomfort, and produces remarkable, visible results. 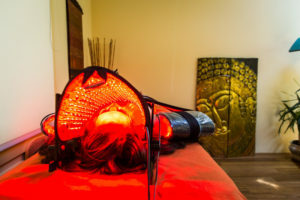 As a safe, effective alternative to invasive surgery, Vie Harmony Light treatments are heads above other technologies in workability and results. 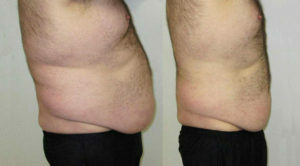 The system can reduce fat deposits on any area of the body. Not only are Vie Harmony Light treatments effective, creating impressive results, the treatments are affordable and involve no pain, bruising, swelling, or downtime – a significant improvement over liposuction. You are a unique individual, and your body type, DNA, and ethnicity dictate how your body will store fat. For women, it is often in the tummy, thighs, flanks, and back. Many women fight to reduce fatty deposits with diet and exercise, but cannot get rid of the fat that collects in these areas. Spot reducing was, at one time, impossible – only a reduction in overall BMI (body mass index) would shrink the existing fat cells. It is now possible to spot-reduce fatty areas with this cutting-edge treatment. As the body shape changes, the increase in feelings of self-confidence that a trimmer, fitter, slimmer body can offer are transformational. For men, the fat deposits are typically in the stomach area, causing it to protrude. The trim, fit, tight look of younger years may have disappeared, but can be restored with the help of the Vie Harmony Light program. For men who want to bring back the tighter, firmer look of youth, this treatment program brings impressive, truly remarkable results. The Vie Harmony Light Program: How Does It Work? The system works to penetrate beneath the skin and target fat cells without damaging the skin’s surface or internal organs. The penetrating light stimulates open pores in fat cells, breaking down the contents so the fat can escape and be eliminated naturally. Your body has a specific number of fat cells, and these cells function as a storage system for fat, growing and shrinking with changes in weight. Releasing the fat from the cells gives you the ability to shed the fat in a targeted area. To shed the released fat naturally, you will need to reduce the calories you consume, and increase the amount of water you drink. An easy-to-perform exercise regime is part of the program, as the motion helps to burn the fat released into your system. The Vie Harmony Light Treatment: How Does it Feel? The system uses pads that are placed in the problem areas. You will simply relax during treatment, which takes typically less than 30 minutes to perform. During the treatment about 500 to 800 calories of fat will be released into your system. The treatment is relaxing, pain-free, and free from side effects such as swelling and bruising. The results are measurable, typically visible after about three treatments. How Many Pounds Can I Shed? The Vie Harmony Light treatment program will require several treatments. Every person has a specific weight loss goal, and the number of treatments needed will vary. As a general rule, to shed five pounds or less, about six sessions are required. To lose five to twenty pounds of fat, about ten sessions are necessary, and to shed twenty pounds or more, about twenty sessions are needed. These sessions are performed two or three times a week. Am I a Candidate for Vie Harmony Light Treatments? Most people are candidates for this effective, non-invasive treatment for targeted fat loss, with a few exceptions. Pregnant or breastfeeding mothers should not have the treatments, as the body is going through various hormonal changes, and treatment would only be appropriate when these are completed. There are a few other contraindications, but if you are in good general health, don’t have a serious disease, and are tired of seeing those unsightly fat deposits, you are probably a candidate. Before treatment, a review of your health history will be necessary to ensure that the treatment is right for you. At Vie Harmony, we are committed to helping our clients become all they can be through the most cutting edge treatments for the whole person. If you are interested in Vie Harmony Light treatments, we invite you to reach out to us for a consultation. Our center focuses on holistic, non-invasive treatments that are natural and safe. Connect with us.